Don’t expect the world to chuck medals at this follow-up, though. 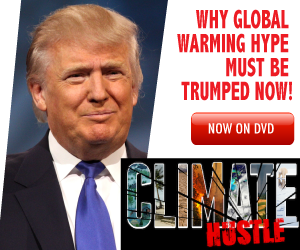 Directed by Bonni Cohen and Jon Shenk, the new film mostly tosses out the filmed lecture approach of An Inconvenient Truth. Instead, they’ve fashioned something on the model of Michael Moore’s justly forgotten The Big One, the scruffy doc that followed the scion of Flint, Michigan, on a big tour. This one’s the opposite of scruffy but it’s still a somewhat aimless travelogue of meet-and-greets and brand building, lacking the urgency of the 2006 film or of recent climate-change docs like Jeff Orlowski’s weep-along marvel Chasing Coral. We watch Gore swan about the globe, tut-tutting sadly at Greenland’s exploding glaciers, glad-handing the conservative mayor of a Texas town that has embraced renewable energy sources, meeting with reporters, flood victims, and participants in Gore’s own how-to-speak-about-climate-change workshops. Gore tours us through his childhood home; we watch his staff worry over his schedule. His one-on-one meeting with then-Secretary of State John Kerry is every bit as stiff as you might fear, the conversation only interesting for what it doesn’t touch on: What it’s like to be manhandled by George W. Bush? This one’s the opposite of scruffy but it’s still a somewhat aimless travelogue of meet-and-greets and brand building, lacking the urgency of the 2006 film or of recent climate-change docs like Jeff Orlowski’s weep-along marvel Chasing Coral.